The Everly Brothers were not only among the most important and best early rock & roll stars, but also among the most influential rockers of any era. They set unmatched standards for close, two-part harmonies and infused early rock & roll with some of the best elements of country and pop music. Their legacy was and is felt enormously in all rock acts that employ harmonies as prime features, from the Beatles, Simon & Garfunkel, and legions of country-rockers to modern-day roots rockers. 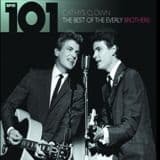 From their start in 1956 to 1962 they topped the charts in the UK, USA and Canada with 8 of their singles, and enjoyed over 20 Top 10 hits in the same period, all of which are included on theis 101 Hits boxset. The Everly Brothers had switched from Cadence to Warner Brothers Records in early 1960 and wasted no timein getting new material out to the market, with Its Everly Time and A Date With The Everly Brothers appearingwithin months of each other before the year was out.For their third Warner release the brothers opted to record something of a concept album, recording fourteentracks in total. The first side of the album (the first seven tracks) was uptempo, with all the tracks being designedFor Dancing whilst the flip side, the remaining seven tracks, were ballads (For Dreaming). The uptempo sidein particular worked well, with My Mammy and Muskrat among the standout tracks, with the flip containing someexceptional vocal work. Tracks: 1. Cathy's clown / 2. So sad (to watch good love go bad) / 3. Crying in the rain / 4. Made to love / 5. Lucille / 6. Temptation / 7. Walk right back / 8. Let it be me / 9. Take a message to mary / 10. Poor jenny (version 1) / 11. Poor jenny (version 2) / 12. (,til) i kissed you / 13. Oh, what a feeling / 14. Since you broke my heart / 15. When will i be loved / 16. Like strangers / 17. Love hurts / 18. Sleepless nights 19. What kind of girl are you / 20. Nashville blues / 21. Always it's you / 22. Ebony eyes / 23. Radio and tv / 24. Stick with me baby. 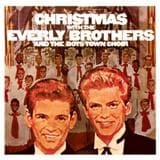 The late 1950s and early 1960s saw a slew of artists record Christmas albums, all hoping to extract some extrasales from the festive period.The Everly Brothers entry to the list takes a much more traditional approach to both the song selection and theperformance; there are no pop Christmas songs, such as I Saw Momma Kissing Santa Claus or Santa Claus IsComing To Home but rather a selection of hymns and sacred songs. They were joined by the 33 member BoysTown Choir from Omaha in Nebraska, who were given co-billing on the album, an honour they earned thanks totheir two songs in Away In a Manger and Angels From The Realms Of Glory. Don Everly performs solo on WhatChild Is This, whilst Phil tackles O Little Town Of Bethlehem.Originally released in 1962, Christmas With The Everly Brothers is a much more solemn album than might havebeen expected but no less compelling. 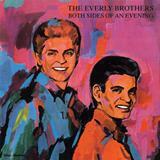 In amongst the usual Christmas mayhem, The Everly Brothers traditionalapproach is to be applauded. Possibly the most iconic LP of their entire career, The Everly Brothers' 1958 S/T album feature all-time quintessential jams like "Wake Up, Little Susie", "Bye Bye Love", and "I Wonder If I Care As Much". Shockingly, as the legend goes, "Bye Bye Love" was rejected by more than 30 singers and groups before the Everlys agreed to record it, and the rest is history. Yet another required piece of early rock and roll from Rumble. 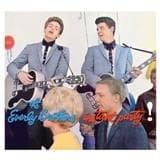 After enjoying considerable success with their own, unique brand of rock and roll, The Everly Brothers opted for achange of style on Instant Party, their fourth album for Warner Brothers. Taking twelve songs from a bygone era,Phil and Don gave their own interpretations of such standards as Oh Mine Papa, Long Lost John and Trouble InMind.It was a radical change of direction for an album (their singles were still in the same rock and roll vein) and struggledfor acceptance in their homeland, although once again British audiences lapped it up, turning the album intoanother major success, hitting #20 in July 1962.